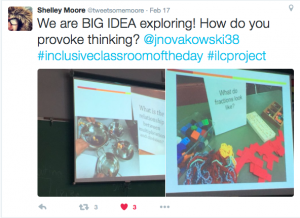 Several schools in our district are participating in Inclusive Learning Communities projects, with a school team working alongside Learning Services staff to consider inclusive principles and practices. 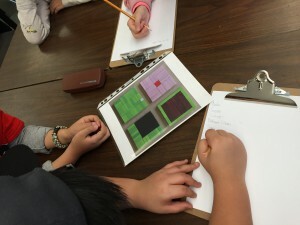 Cook Elementary is in its first year of the project, investigating ways to incorporate play into the learning of mathematics. Shelley Moore is leading this project at Cook, meeting with the school team (classroom teachers, learning resource teachers and the principal) to develop class profiles. I was invited to share some ideas with the team about incorporating play into mathematics in their classrooms. Two of the intermediate teachers are involved in our Creating Spaces for Playful Inquiry series and Cook also has a school goal around math so the staff has attended our elementary math focus days. 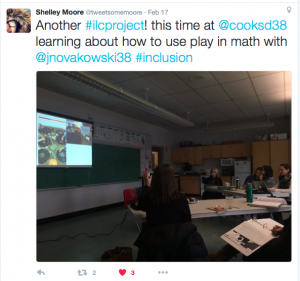 In February, I spent the morning with the school team sharing some thoughts about play. Often teachers and parents think about “games” and “toys” when we call talk about learning through play but play is so much more than this. 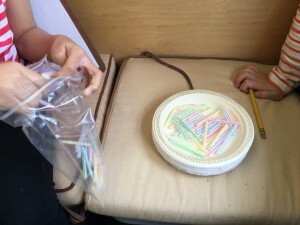 When I think about having students take on a playful stance in mathematics, I want them to play with materials, play with language and play with ideas. We discussed beginning with a big idea in mathematics and then considering how to provoke thinking and encourage playfulness through various open-ended learning experiences. As part of the lesson study cycle part of this project, the teachers planned a lesson and taught it with another teacher observing and then repeated the lesson in the other teacher’s classroom. 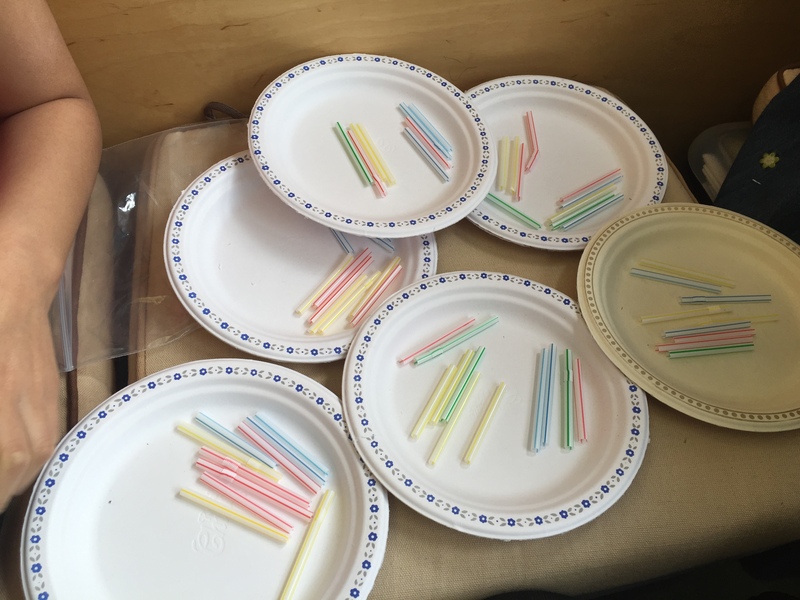 The intermediate teachers focused their lessons on the routine Which One Doesn’t Belong? 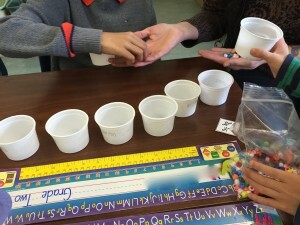 and the primary teachers used the counting collections routine for their lessons. Which One Doesn’t Belong is a routine made well-known through the #MTBoS (Math Twitter Blog-o-Sphere) and a curation of WODBs can be found HERE. Teachers Christy Rollo and Jo Fournier and the learning resource teachers set the routine up by first projecting a WODB on the screen and then having student share and discussed what they noticed. 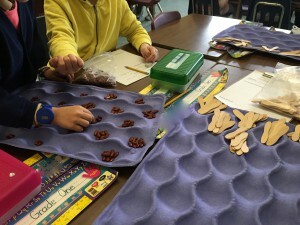 Print outs of WODBs were then placed on tables in the classroom and the students chose which ones interested them. 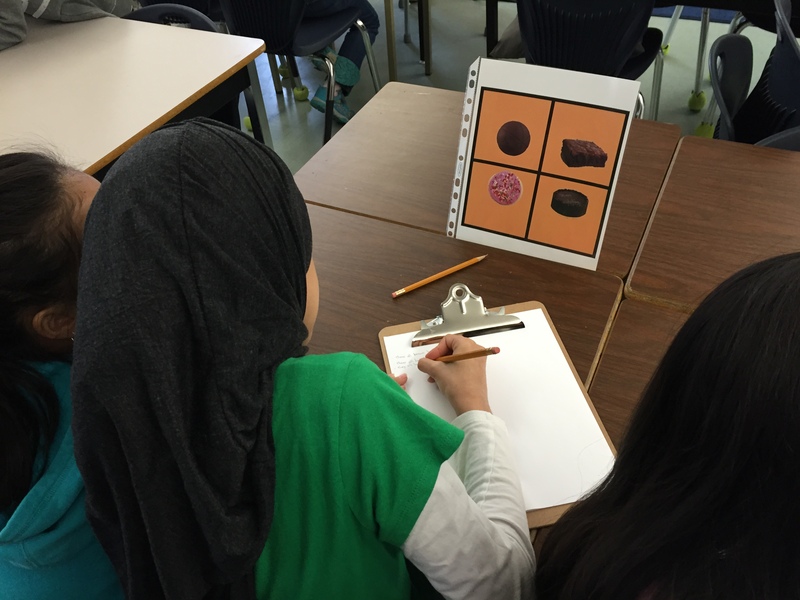 They worked together in small groups but did not have stay with the same group of students as they moved on to another WODB. The teachers and I listened in on the math language the students were using, how they were justifying their choice and listened to understand where students were in their understanding of the math concepts involved. 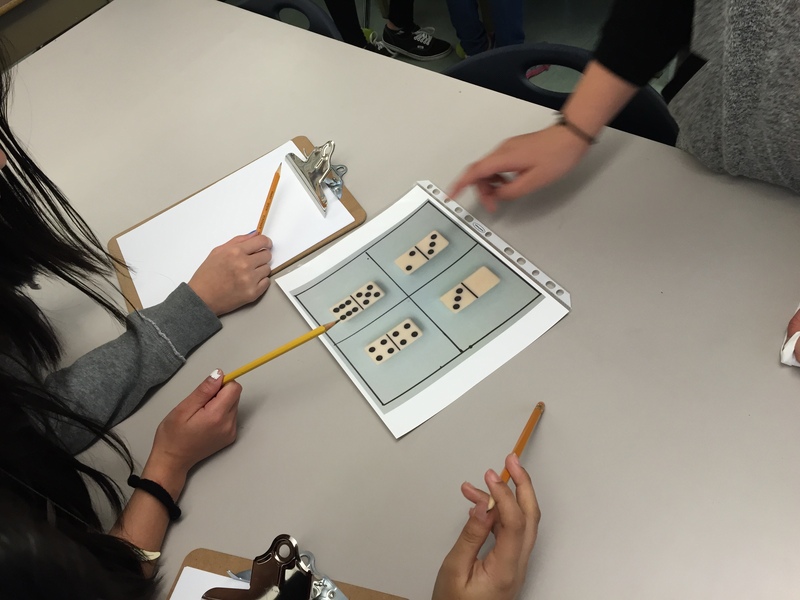 We noticed how the WODBs provided an entry point for all students – that every student could say something regardless of their mathematical understanding or fluency with the English language. 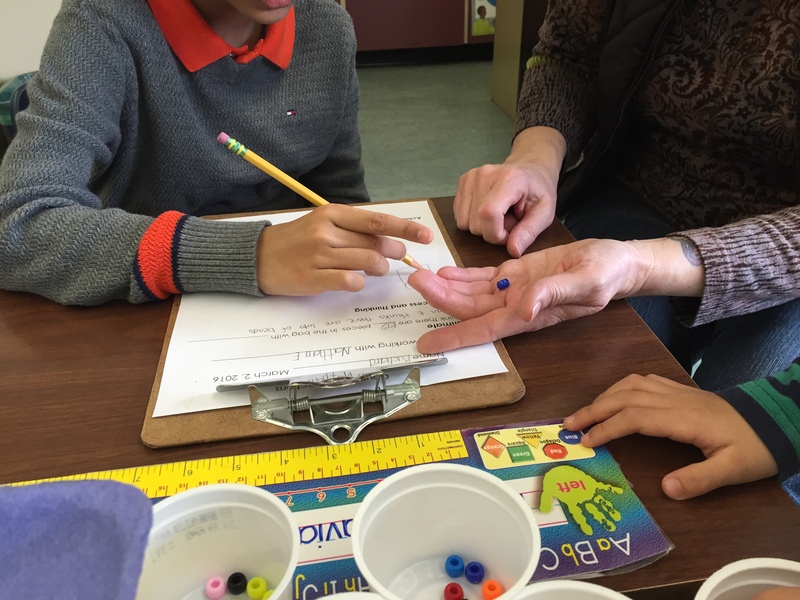 The primary teachers were curious about the Counting Collections routine. The teachers gathered materials – collections and cups/plates etc for supporting counting in different ways. The students worked in pairs to choose a collection and count it. Most of the students chose to count their collections by 1s or 10s which is common for the first go at counting collections. 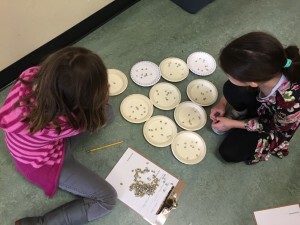 All the students in the class were able to engage in counting – some taking turns counting back and forth, a student and his partner counting the groups of 10 from 1-10 over and over to practice counting from 1-10 with one-to-one correspondence and other students counting their collections by 10s and then supporting each other to figure out how to count on the extra “ones”. 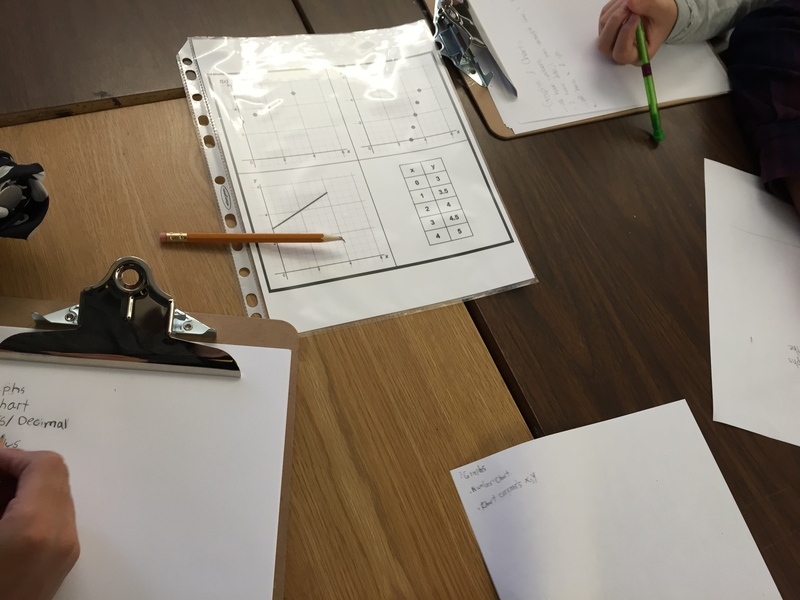 The teachers had prepared a formal recording sheet which during our debrief they realized added too many extra layers to this first go with counting collections. We also discussed how every student was engaged in talking about and doing mathematics, counting, grouping and thinking about place value for almost an hour. A video of the grades 1&2 students engaged in the counting collections routines can be viewed HERE.